Parents. This is for you. There are a bunch of places out there to get information about the sport of rowing, but we spent a week trying to break it down for you in a clear, concise, and not overwhelming manner. This is a compilation of information from a number of different sources, combined with our experience. Please share it amongst yourselves. There are 5 individual posts with these articles in our blog. This one combines them all in one place. Check it out. 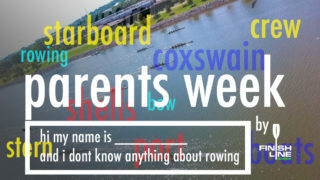 Sept 19 – Parents Week – boats explained.